, : You gain 1 life. 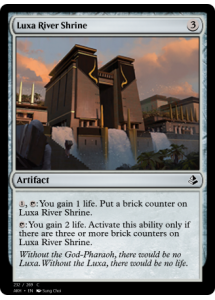 Put a brick counter on Luxa River Shrine. : You gain 2 life. 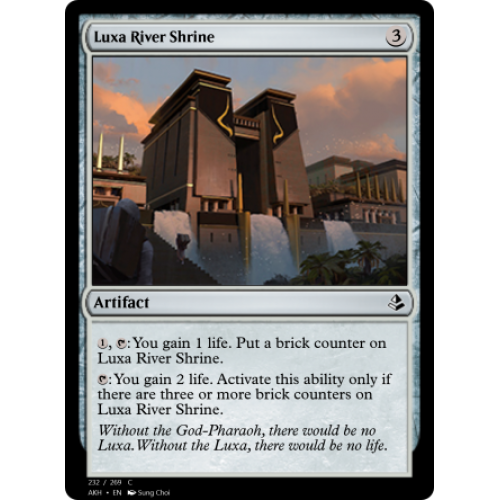 Activate this ability only if there are three or more brick counters on Luxa River Shrine. Without the God-Pharaoh, there would be no Luxa. Without the Luxa, there would be no life.